HMD Global announced only Nokia 8.1, a successor to the midrange Nokia 7 Plus released earlier this year. The new handset, to be launched in the UK and Europe next year, January 14th for £ 379.99 (€ 399), replaces 7 Plus Snapdragon 660 for a Snapdragon 710 and includes a notch and HDR10 support for its 2160 x 1440 resolution screen. Otherwise, specifications are more or less in line with what you expect from this price point, with 4GB of RAM flanked by 64GB of internal storage (expandable with up to 400GB via microSD). The 3.500mAh battery can be quickly charged at 18W, and yes, it has a headphone jack if you do not want to make the jump to wireless. (But if you do, you will get Bluetooth AptX support for a good target.) The phone will run Android Pie out of the box and it's set to be a refreshing storage experience, thanks to Android One. has a dual-lens design on the backside with its main 12MP f / 1.8 camera connected by a second 13MP sensor for portraits. On the front side there is a 20MP camera, and once more, Nokia will let you take a picture from both cameras at the same time, thanks to the "Bothie" feature. If you're watching movies, 4K recording is supported, and there's also built-in optical image stabilization to keep your photos cozy and slippery. Attempting to train exactly where Nokia 8.1 fits into HMD's smartphone setup is a challenge, given back and forth naming conventions and the fact that many of the phones do not end up getting to the West. 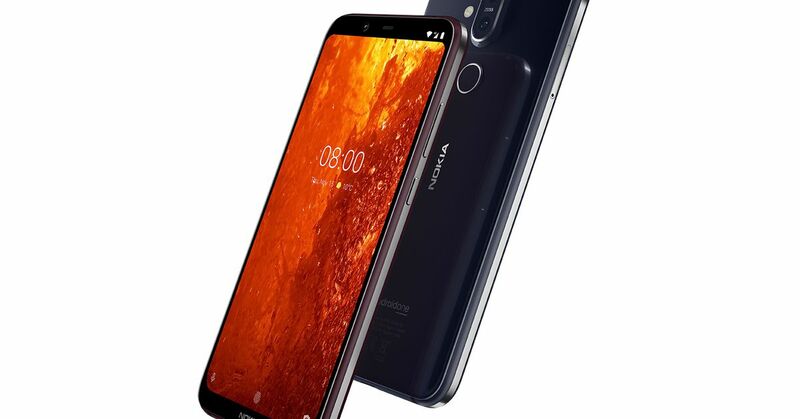 8.1 is marked as a successor to 7 Plus, which is stronger than Nokia 7.1, which was released in the UK and the United States just over a month ago. 8.1 is not as powerful as last year's Nokia 8, which was fitted with faster Snapdragon 835. In addition to its European launch next year, HMD has also said that Nokia 8.1 will receive a release later this month across Asia and the Middle East. Unfortunately, the company has omitted an American release for its latest handset.